BCA Newcastle is reporting record levels of trading in the first weeks of the new year. High levels of demand from buyers alongside the launch of a new sale programme set a new record at the centre, with over 600 cars sold in one week for the first time. The new Wednesday sale launched early in January meets growing demand from customers, and it has proved an instant hit with buyers. 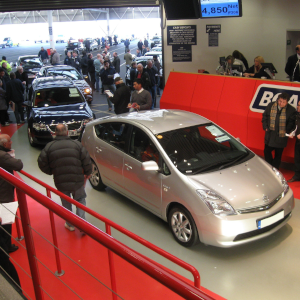 Featuring vehicles from BCA in association with Lex Autolease and UKCGR Premium, the sales are attracting record numbers of Live Online buyers as well as interest from local dealers, main agents and supermarkets and volume buyers from further afield. The majority of vehicles on offer come with V5, service history and warranted mileage, are fully appraised, catalogued pre-sale and, where applicable, are offered with a BCA Assured Report. The new event builds on the existing auction calendar of regular Tuesday and Friday sales. The nine-acre auction complex has two auction halls and undercover viewing for 250 cars. Customer facilities include parking for 500 cars and cafeteria. BCA Newcastle is located on Whitley Road in Longbenton.